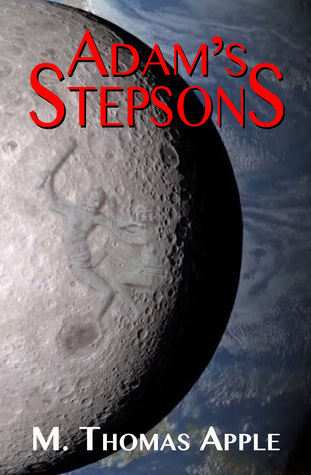 Adam’s Stepsons by M. Thomas Apple is an interesting science fiction piece. We follow Dr. Heimann who designs the perfect super soldiers for the United America’s in their war against the Martian colonies. Heimann quickly discovers that he did not anticipate the brutal efficiency of the military, nor the attachment that arises from his creations. These clones are not only the peak of what the human form can do, they actually transcend humanity through intelligence and strength. They are the weapon that the United Americas will use to crush the rebellion on Mars. Dr. Heimann is shocked when one clone, Six, begins to call him “Father” and then the can of worms truly opens. Apple’s novel is almost painfully short, only because I wanted to have more to read and dive into. He anticipates the future of inter-solar system colonization and the struggles that can arise, such as this between the United Americas and the Martian colonies. He does not neglect the complicated matter here or the scope considering the Terran governing force is losing the war and needs these clones to pan out. 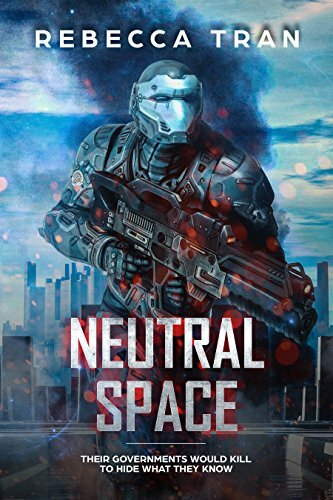 The struggle between scientist and soldier is an old one, but one that takes on a new twist with the rise of cloned super soldiers. Apple goes along the lines of Robert Heinlein’s Starship Troopers, but does not seek to critique war itself. Instead, the author goes further and asks whether these soldiers are “truly” human or are they just “equipment” as the military officer Marquez calls them. The conflict deepens even further when “Seth”, clone number six, as Dr. Heimann calls him when no one else is around, begins to call him “father”. The book bounces between the POV’s of the scientist and Six, which is interesting because as the book goes on Heimann becomes more and more unstable and uncertain of his mission of designing soldiers, who resemble the people that their genetic material comes from. Six, or rather, “Seth” becomes increasingly more confident in his abilities and his intelligence. All of this leads to a climax that may polarize readers, but one that will still make the reader ponder on far after they have finished the novel. Overall, I enjoyed Apple’s prose. It reads crisp like that of Asimov or Heinlein, but I am still unsure if the short length of the work was appropriate. There is a lot of dialogue and not enough actual “action” going on throughout, so I was expecting more digging into the rich themes of personhood and philosophy of the soul. I realize that may be asking too much. Adam’s Stepsons is a fun addition to the long canon of science fiction that dares to ask the “what if” of the future. It also seeks to ask the “should we, if we can” question that not enough science fiction is retrospective enough to ask. A good read for any science fiction lover, especially of the Heinlein or Asimov variety.